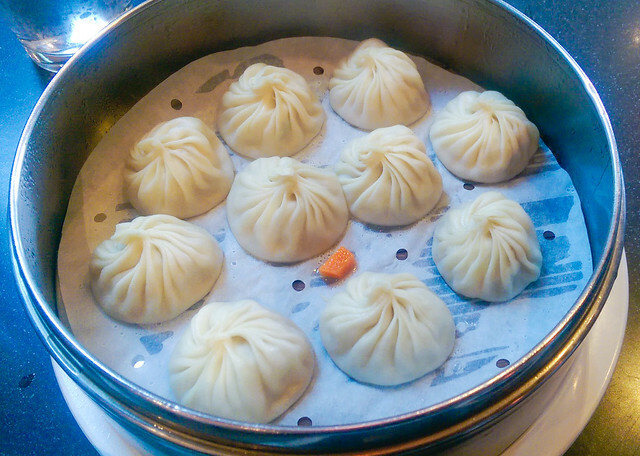 Din Tai Fung is a restaurant originating in Taiwan, specializing in xiaolongbao (soup dumplings). Outside its native Taiwan, Din Tai Fung also has branches in Australia, China, Hong Kong, Indonesia, Japan, Malaysia, Singapore, South Korea, the United States, and Thailand. 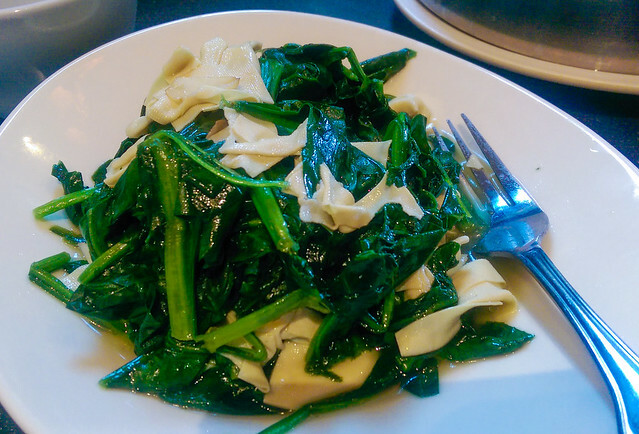 Din Tai Fung was named one of the top ten restaurants in the world by the “New York Times” on January 17, 1993. In November 2009, the restaurant’s first Hong Kong branch at Tsim Sha Tsui (尖沙咀), Silvercord Branch (新港店), was awarded one Michelin star by the Hong Kong and Macau 2010 edition of the Michelin Guide. In December 2010, the restaurant’s second branch in Hong Kong at Causeway Bay, Yee Wo Branch (怡和店), was also awarded one Michelin star. In the US, they are located in Seattle, Washington and Arcadia, California. There are actually two Din Tai Fung locations in Arcadia which are next to each other. On Saturdays, the first location opens at 10:30am, while the second location opens at 11:00am. We arrived at the parking lot of the second location at 10:30am and noticed the line for the first location was already long! So we decided to stay at the second location, where we were second in line! The line got much longer and eventually wrapped around two corners of the building! The restaurant opened its doors immediately at 11am, and we were seated right away. There were five of us and we ordered six dishes, shown below. Please excuse the blurriness; I used my HTC One M8 and didn’t realize the lenses were smeared. 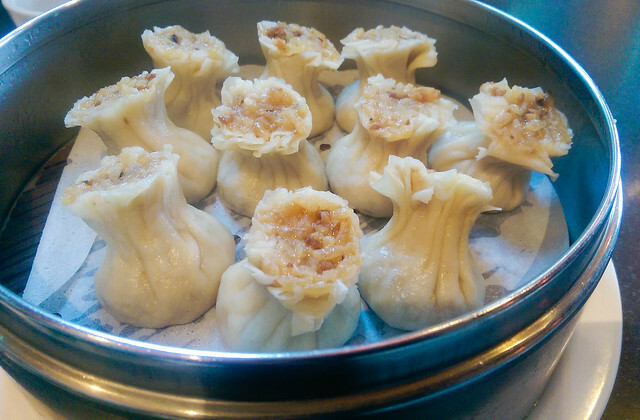 Xiaolongbaos are to be eaten carefully. 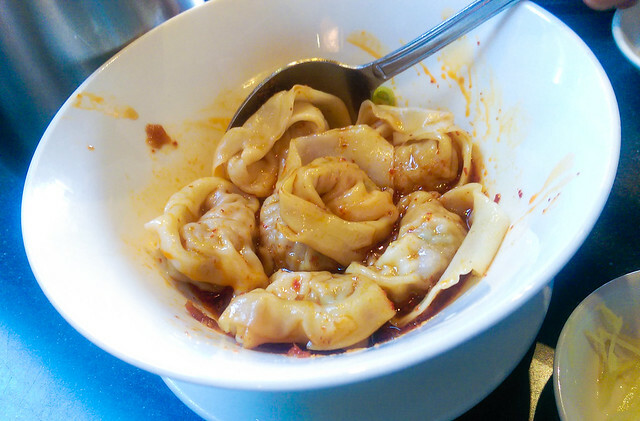 They are filled with meat and a bit of soup, so nibble into the dumpling gently at first or poke to let some steam out. Otherwise if you just stuff ’em into your mouth, it can explode in your mouth and burn your tongue! Or if you bite it halfway, the soup will squirt across the table! 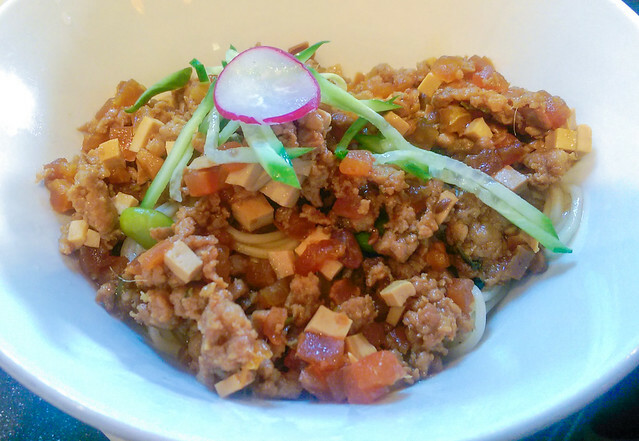 This minced pork noodle dish a popular Taiwanese dish called ‘rou zhao mian’ in Mandarin (肉燥麵). It is also more commonly known as “Taiwanese spaghetti”. 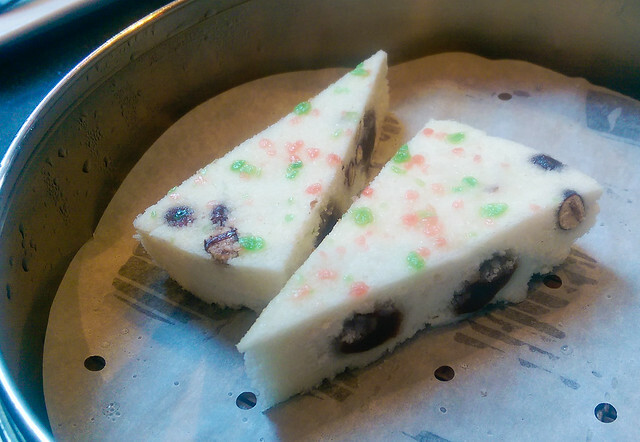 Steamed glutinous rice cake with red beans and red bean paste. 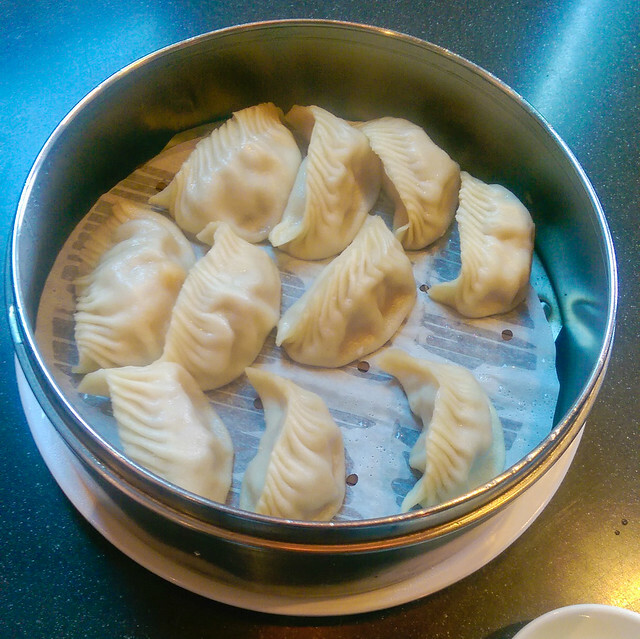 Verdict: Delicious dumplings! The 30min wait prior to opening time was worth it. Din Tai Fung, please come to the SF Bay Area!